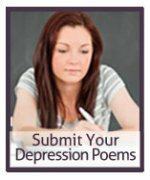 Depression Test: Empowering You to Dance with Life Again! Helping You Dance with Life Again! How Do I Know If I Am Clinically Depressed? 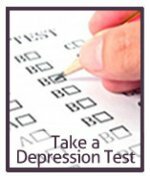 An important place to start is to take a depression test. I have one right at the top of this page so you can get started and figure this out now! It's important to note that depression manifests itself in many different ways, depending on the individual. 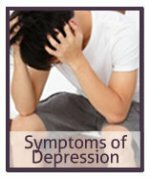 However, there are many common depression symptoms that can be an indication that you might be depressed. Taking my test will help you hone in on your symptoms to determine if you may, indeed, be depressed. Is Being Depressed Very Common? Being depressed is more common than you think. According to the World Health Organization, over 121 million people on this planet have struggled with a depressive disorder. An estimated 30% of the population. It is truly a global epidemic! Sadly, for those that are depressed, less than 25% get treatment ... this means that 70% never get the treatment that they need! This is terrible considering this is completely treatable! So, if you are feeling depressed, you are not alone! Again, not to beat a dead horse here, but your first course of action should be taking a depression test. 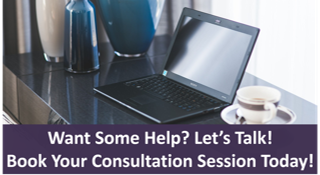 Once you take the test, if you want to consider coaching, I'm here to help! This is not a “one size fits all” kind of thing. There are many different types of depression. 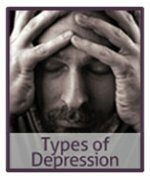 The most common is clinical depression but there are many others postpartum depression, holiday depression, reactive depression, manic depression, and many others. Yes. It is absolutely treatable! In fact, of the 25% who do get treatment 70% will feel better in only a few quick weeks. The key is to recognize that you may, indeed, be suffering with a depressive disorder. If you feel that you are clinically depressed then work with a mental health professional to get properly diagnosed. Once properly diagnosed you can then work together to develop a personalized treatment plan to get you on your road to recovery. 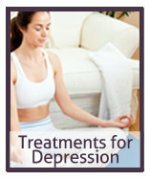 There are many different treatments for depression that include depression medications, herbal remedies for depression, natural remedies for depression, cognitive behavioral therapy and many others. The treatment plan will usually be a combination of several things to ensure a speedy road to recovery. I thank you for coming to my Depression Test website. 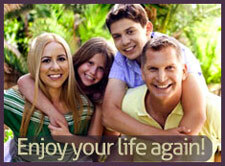 I have been a National Certified Counselor and Core Energetic Therapist since 2003. Since then, I've been certified in Energy Healing and other modalities. 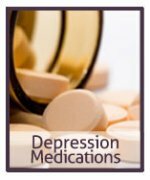 I have helped hundreds of clients with their battle of depression. I'm passionate about this because I used to suffer with depression .. but not anymore! I've overcome it and you can too! We all feel depressed from time to time but we are not meant to live this way. We are meant to live a happy, loving, fulfilling life. If you are depressed and you are looking for support, information and tools to beat it once and for all, you have come to the right site! If you think you might be depressed then I encourage you to take a depression test as your first course of action. This will give you your starting point and you can confidently build and action plan from there. I hope that you find the information and tools that I have provided to be helpful while you are on this journey. If you like my site, please bookmark it and share it with others so that, together, we can conquer this horrible thing called depression! Hear What Others Have to Say……..
"I am so glad that our paths have crossed. You have been a true inspiration to me! Thank you for all of your help and support!" "Working with you has been a true blessing! Before we met I felt so hopeless and wondered if I’d ever be happy again. You helped me get out of the dark place I was in and find light again! Thanks for all that you do to help others! "I really enjoyed the workshop that you put on. It was great to connect with like minded people who share the same passion for self awareness. Your classes are full of energy and very motivating. I look forward to attending another one very soon!" "Dana, I can’t tell you how much I appreciate your kindness, patience and generosity! As a result of working with you I am no longer feeling horribly depressed! You and your site are amazing and I am so happy that I found you!" Have a Great Day! And Thanks Visiting My Site! Dana Zarcone is a National Certified Counselor, Certified Core Energetic Therapist, author, motivational speaker and integrational life coach. If you're interested in learning more, read Dana's story.